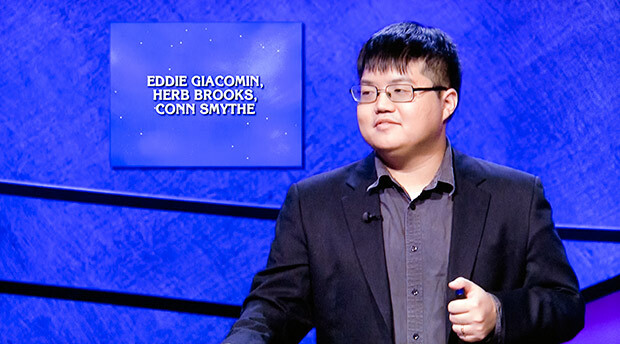 Arthur Chu has made waves the last three nights by employing excellent strategy on Jeopardy! He won first on Tuesday, tied to win on Wednesday, and won decisively on Thursday. Here's a rundown of what makes his play so special. UPDATE: Chu won again on Friday. Check out our in-depth interview, conducted right before his fourth win aired. Chu's most interesting move so far was on Wednesday's show, when he entered Final Jeopardy in the lead...and intentionally wagered so that he might tie with another player, Carolyn Collins. Chu faced the same problem confronting every dollar leader heading into Final Jeopardy—he wanted to stay in the game, returning the next day to win more dough—but unlike most, he did not bet to win. Instead, he assumed that Collins would bet everything. He proceeded to calibrate his wager so that if Collins bet everything, and answered correctly, and Chu answered correctly too, they'd end up in a rare tie, with both Chu and Collins moving on to compete again the next day. But this was not the first time Chu had wagered to tie! 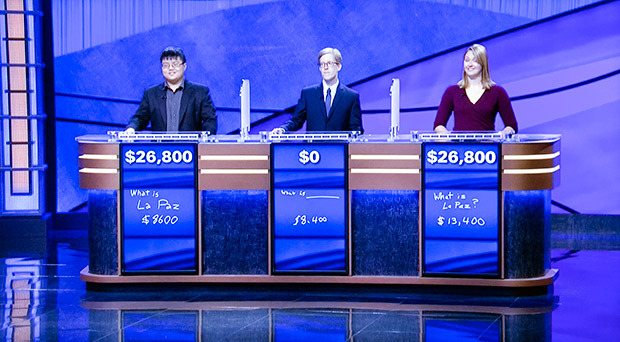 The night before, on Tuesday, Chu had bet $17,200 in a bid to tie with the returning champion on that show (he had only a slight lead heading into Final Jeopardy). 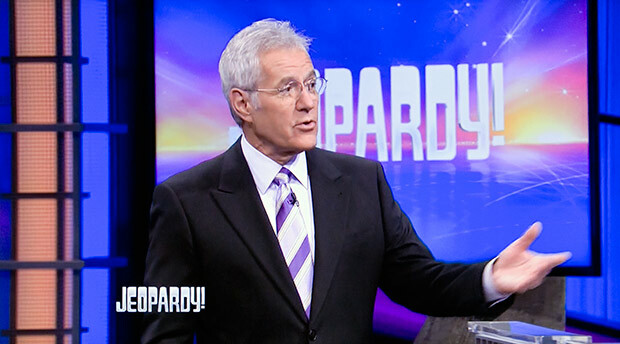 The reason there weren't dual winners on Tuesday is that only Chu responded correctly to the Final Jeopardy clue. Herb Brooks, Conn Smythe"), Chu promptly said, "I don't know," and lost the five bucks as he smiled and the audience chuckled. While some would argue that Chu should have thrown out some random sport's name just for kicks (in the hope he'd win $5), I think his move here was gutsy. Hey, if I got a sports Daily Double, I'd bet almost nothing too, and keep the game moving so there was time to clear the board—and find the remaining Daily Doubles. 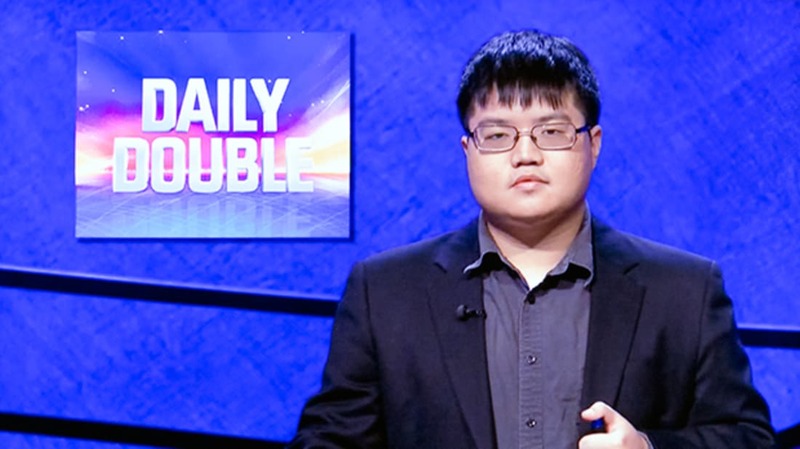 In his first game, Chu wasn't afraid to go for a "True Daily Double," meaning a wager that would double his current winnings if he got it right—which he did. This smart move catapulted him into the lead halfway through Double Jeopardy, which helped set him up for the win. His performance with Daily Doubles in the second game was mixed; he made a blunder with a clue about paint types and lost his second attempt at a True Daily Double (!). At that point he wagered $4,195, the amusingly specific number left over after his aforementioned loss of five bucks on hockey. 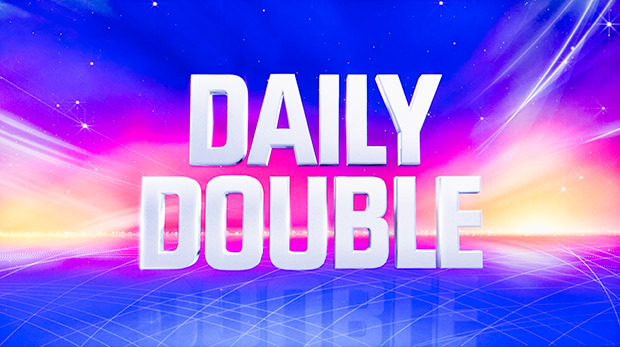 But by scouring the bottom of the Double Jeopardy board, Chu quickly racked up another $10,000 and wagered half of that (successfully) on the final Daily Double of his second game—again, very gutsy and in the end, it worked out. In his first game, Chu spotted a mistake made by fellow contestant Cesar Perez-Gonzalez. Trying to identify an antelope shown in a video, Perez-Gonzalez said "prog-horn," causing Trebek to take a tiny pause and say, "Oh gosh, no." Chu buzzed in immediately with the correct response, "What is a prong-horn?" That response pushed Chu to $20,000, again in the lead. Whether Chu simply knew the correct answer, or recognized Trebek's implication that "prog-horn" was close to correct is for Chu to explain. But he was fast on the buzzer when Perez-Gonzalez barely missed that one. Okay, we're biased here, but this was a big moment for the mental_floss crew. 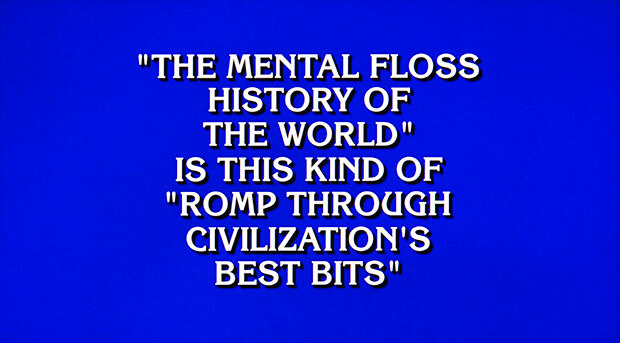 The $1000 clue in "THE 'RENT' IS DUE" on Wednesday was: "The Mental Floss History of the World" is this kind of "romp through civilization's best bits." Chu rang in quickly, correctly answering, "What is irreverent?" We salute you, Mr. Chu! Note: We interviewed Arthur on Friday. Look for that over the weekend.